You might think it’s wise to wait until your very young puppy gets a little older to start socializing him. Take our advice — don’t wait! In fact, you have a pretty small window of opportunity to properly socialize your puppy, and ideally you should start when he’s only three weeks old. Puppies develop quickly, particularly when it comes to behavior. They’re most receptive to new experiences between the ages of three and 12 weeks old. After about four months old, it becomes much more difficult to introduce puppies to new situations. So, where do you start? What do you need to know? We’ll answer all your questions about how to socialize your puppy so he grows up to be a secure social butterfly. Why is Socializing a Puppy Important? The last thing you want is your pup to end up scared of his own shadow his whole life. The world can be a series of overwhelming and frightening experiences for a dog that hasn’t been socialized during his rearing. 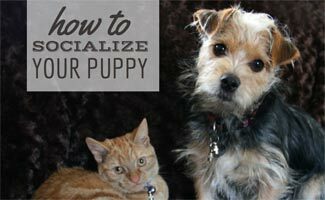 Socializing a puppy is much more than just introducing him to people and other dogs; it also involves getting your puppy comfortable with new sights, sounds, smells, other animals and new environments. If not properly socialized, dogs tend to face new people, other pets, loud noises and other sensory triggers with fear and even aggression. But if you’ve exposed your puppy to a wide variety of situations, he’s much more likely to grow into a secure, happy and relaxed family pet. What’s the Best Way to Socialize Your Puppy? How do you socialize such a young puppy when he hasn’t had all of his vaccinations to protect him against diseases and parasites? With caution, say experts. Most puppies don’t get all of their vaccines until at least 16 weeks old, so you have to be careful when you’re introducing your pup to adult dogs and outdoor experiences. 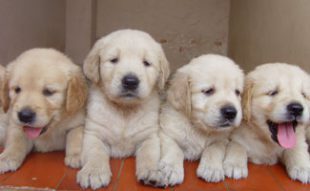 Although puppies can contract diseases by picking up even small amounts of feces or other kinds of excrement left behind by sick dogs in public places, the American Veterinary Medical Association (AVMA) asserts that eventual dog behavior problems stemming from lack of puppy socialization are of much more concern than the chance of your puppy contracting a disease from a public place. 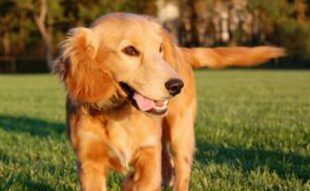 There are a number of ways you can expose your puppy to new people and minimize the risk of him contracting anything harmful, and, at the same time, make sure he’s getting the proper people exposure he needs at his age. Have them take their shoes off before they enter your house — just in case they’ve stepped in something that could carry potentially harmful particles for your puppy. It’s best to introduce your puppy to a variety of people every day, if possible. Choose family and friends who are of different genders, ages, races, etc. so your puppy gets used to the society he’ll encounter when he’s out in the world. A huge part of socializing a puppy is getting him comfortable being handled and cuddled by a number of different people, but it’s important that you expose him to people who are familiar with careful dog handling. Dogs are social animals, and if you’ve owned a dog before, you know how much they gravitate to other dogs. It’s important to introduce your young puppy to other dogs during their formative time so they don’t develop anxious, fearful or aggressive behavior toward their fellow canines. Dog behaviorists strongly recommend enrolling in a puppy training class. These classes are a safer choice than taking your puppy to a dog park, because there’s less risk that the other puppies in the class carry diseases. 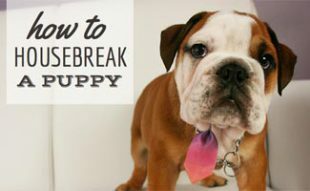 Not only will your pup get the socialization he needs; he’ll pick up some crucial behavioral training at the same time. Visit your dog owner friends (or invite them over), but only if you know their dogs are healthy and will play well with young puppies. 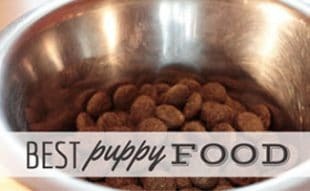 This can be a great way to introduce your puppy to adult dogs. Although some experts say it’s a great way to socialize your puppy, you’re taking a huge risk with dogs you don’t know. It’s best to wait until your puppy is a bit older and has all his vaccinations before venturing to the dog park. What Are the Don’ts With Puppy socialization? Not all puppy socialization is productive. Depending on their personality, some puppies will be more skittish in new situations so be careful to watch your pup’s cues. Never force your puppy into an environment when he’s resisting or showing extreme fear; otherwise you could end up creating a fear for life. Some other don’ts include the following. Don’t bring your puppy into contact with dogs who seem sick, dogs you don’t know or dogs you know aren’t vaccinated. Don’t over-socialize. Puppies need a lot of sleep and can get overwhelmed with too much at once. Limit the time of exposures. Don’t reward your puppy if he’s showing fear. This is a tough one, because we want to soothe our little babies. But you don’t want your puppy to end up thinking fearful behavior is worthy of praise. He needs to work through his apprehension. Check out this entertaining video we made with some additional tips (and slew of adorable puppies to boot)! A Final Reminder: Don’t Wait!! It’s your responsibility as a new puppy parent to steer your pup in the right direction and make sure he grows up to be a content, well-behaved and anxiety-free dog. Don’t miss your small window of opportunity during your puppy’s formative time. Once it’s gone, you’ll have missed your best chance! What are your top tips on how to properly socialize a puppy?